The year 2017 has been a challenging year and many of us are wondering why we had to endure such difficult trials. The warfare seemed to be relentless but there is an old saying, “What didn’t kill you will make you stronger”. The Lord is showing me that He is raising up a prophetic remnant who are strong, courageous and determined to stand against any adversity that comes against them. Some of you are asking the Lord why He “allowed” certain things to happen this year. There was a mighty prophet of God who asked the same question. In the book of Judges there was a man named Gideon who was fearful and weak in his own sight, but mighty in the eyes of God. The name Gideon means “Mighty warrior”. Gideon was called to deliver Israel from the Midianites, but one day Gideon was hiding as they were attacking Israel. God had sent an angel to him saying, “The Lord is with you, mighty man of valor”. Gideon replied with a question, “If the Lord is with us, why did all these terrible things happen? After this encounter with the angel, Gideon went and rescued Israel from the enemy with an army which the Lord had reduced from thirty two thousand men, to three hundred men. The Lord also allowed Gideon to see into the enemies’ camp. In 2018 many prophetic voices are going to emerge. They will be so fine-tuned to The Holy Spirit because they spend time with Jesus and know His word. “Just as I did in days past, I will speak to you and lead you in unusual ways. I am raising up those who will prophesy with precision and accuracy. Their ears will be fine-tuned to hear My voice, and they will speak in harmony with My words. I will join them together with other voices as in a company of prophets. Don’t covet the mantles of the prophets of old, because I am releasing a fresh anointing and new mantles in the days ahead. I am raising up those to begin to see beyond their natural sight and comprehend beyond their natural senses. They will be attuned to the symphonies of heaven. Those who are tuned in to My voice will no longer be led astray by the voices of strangers. They will discern false teachings and false prophets, and they will recognize the genuine from the profane. I will give them keen discernment, and they will learn how to enter into My presence with ease,” says the Lord. There is another story in the Old Testament about a prophet (seer) named Samuel whom the Bible says as he grew, none of his words fell to the ground, meaning that every prophetic word he spoke came to pass. He heard the audible voice of the Lord as He called him at a very young age. He did not recognize the Lord’s voice at first. (1 Samuel chapter 3) But then he answered and became one of the greatest prophets in history. In 1 Samuel Chapter 9, there is a story of a man named Saul who was also called to be a prophet (seer) with a unique gift. Saul’s father Kish lost his donkeys and sent Saul and his servant to look for them. They couldn’t find the donkeys, but the servant said, there is an honorable man in this city and all that he says surely comes to pass. The story goes on to say that as they were walking, they met up with the Prophet Samuel. God told Samuel the day before that he was going to meet Saul and He would tell him everything that is in his heart. 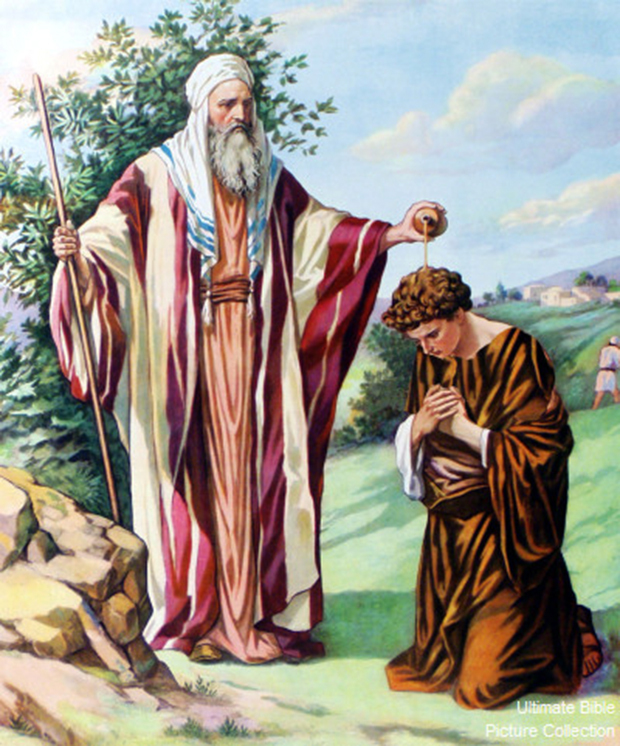 When they met, Samuel anointed Saul to be a prophet, and prophesied to him about becoming the king of Israel. He prophesied with such accuracy and precision, he even told Saul by word of knowledge that his father’s donkeys were already found. Samuel told Saul that when Saul would prophesy he would be turned into another man. In the same way, the Lord is raising up prophets today, releasing prophetic gifts and using them to proclaim His prophetic words to the nations. “What you think that you may have lost will certainly be found. I have set you in a particular direction for a purpose and with a plan. Listen for My voice in times of loss and in times of need. There are times that I will meet with you when you least expect it, and speak to you in the places where you would least expect. Prophetic dream warns of Christians imprisoned. Amen. This really bears witness in my Spirit. The phrase: ” they will recognize the genuine from the profane. I will give them keen discernment, and they will learn how to enter into My presence with ease,” says the Lord.” is almost a direct quote from Ezekiel 44:15,16,23. The name “Zadok” means “righteous”. Before these verses God makes the distinction between the Levite priests and their functions and the Zadokite priests. The Levites bowed to the will of the people. The Zadokites remained obedient to the LORD. The Bride, Who is clothed in white, Rev 19:8, are also His Kingdom of Priests, the Zadokite//Righteous Ones, Who are preparing Themselves, Rev19:7, in His Presence, ministering to Him, for Their future Revelation as The True Body Of Christ and for His Glory!! Thanks for these great points Doug. Amen Doug……Zadok has always been one of my favorites along with Samuel. May the true prophets come forth in the power of his spirit lifting up the person and work of Jesus. Thank you for sharing, makes me want to read the Book of Judges this weekend. Want to be a Prophet? Live a holy obedient life. Want a whole lot of trials and tribulations to your Christian life? Then desire to be a Prophet. But I also think the Kingdom of God comes without observation a lot of times, and those who seek to be a Prophet may have to wait a long time or it may never happen. To those who seek to be a prophet and commit it to God’s care and move on, may be surprised that God will speak to them the sooner rather than the later. Elaine: There are prophetic voices declaring disaster coming, while others as yourself are proclaiming good things coming. Do you see both happening at the same time?? I think the message is that giftings of the prophets will increase. Don’t think it means there will be easy times alongside that. For years I have come to believe there are no Old Testament prophets now ( in the church age , they see thru a glass darkly ) , but when the latter rain comes as the church age ends and Yeshua turns from the church to Israel agin , true prophets will arise and ABBA GOD will display HIS Power for all to see thru them . Thanks Elaine .